Jean Hirons is a painterly realist using soft pastel to create luminous landscapes. A native of New England, Hirons often features its beautiful architecture in her paintings, or the farms of the Mid-Atlantic, where she now resides. 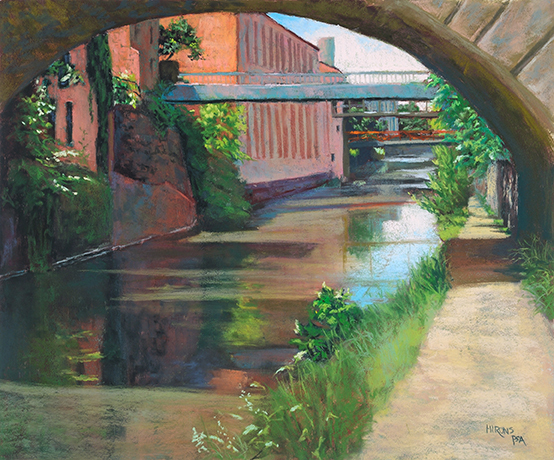 Hirons is a signature member of the Pastel Society of America and a member of the Master Circle of the International Association of Pastel Societies. She also holds signature membership in the Pastel Painters Society of Cape Cod and the Maryland Pastel Society. Her work has been included in many national and international juried shows and her paintings are internationally collected. In addition to her painting, Hirons is an avid teacher and promoter of the medium. She taught at Montgomery College in Rockville, MD from 2005 to 2012 and now teaches at Artists & Makers Studios 2 in Rockville. In 2012, she published her highly-acclaimed book Finding Your Style in Pastel. She continues to share her explorations in pastel in her blog Finding My Style. Hirons holds a BFA from Marietta College and a masters in library science from the University of Rhode Island. She retired from an award-winning career at the Library of Congress in 2003 to pursue pastel painting full time. Since 2001, she has studied with many of the major pastel landscape painters in the U.S.